The talk show queen likens book adaptation to "The Color Purple"
Oprah Winfrey, along with Tyler Perry, endorsed "Precious," due in theaters in November. Oprah Winfrey was so taken by Sapphire's novel "Push" that she read it more than once. Yet even though the talk show host has made best-sellers of unknown books, Winfrey didn't think even her staggering influence could make "Push" — the story of an obese, illiterate black teen who suffers unspeakable abuse — something that millions would want to read. "I would never even think of presenting that book as a book club selection because people would think I had lost my mind," Winfrey said in a recent interview. So when Winfrey heard producer and director Lee Daniels had adapted Sapphire's book into the acclaimed movie "Precious," with an all-star cast including Mo'Nique, Mariah Carey, Lenny Kravitz and others, she was so impressed that she decided to lend her weighty endorsement to the film by signing on as its executive producer, along with hit filmmaker Tyler Perry. "That is why we are both here, to applaud the brilliance of Lee because I can't imagine what kind of brain thinks that they can bring that to life," she said. "Who thinks you can take that book and turn it into a movie?" "Precious" stars unknown actress Gabourey Sidibe as Precious, who endures an abusive mother, an incestuous father and extreme poverty in a journey of redemption. Though Winfrey and Perry acknowledge the subject matter may be too grim for some, they hope their backing will get more people to see the film when it is released nationwide on Nov. 6. In a joint interview, the two spoke about why "Precious" moved them, what message it sends and why more stars should pay it forward. The Associated Press: In an age when the world now sees images of African-American young women such as Sasha and Malia Obama, why is it still important to tell the story of girls like Precious? Winfrey: For as many stories as there are hues and colors and variations of colors in the African-American race, this is just one. I feel about this story the same way I felt about "The Color Purple." It is now 24 years ago that we did that movie. This feels like a modern-day "Color Purple." Precious feels like a Celie who lives in Harlem. The story of abuse in our community and in many communities is still a taboo subject. The story and the arc of hope and possibility and empowerment is an evergreen, timeless story that I think this generation, the generation before us and many generations to come will also be entertained and inspired by. This story has no limitations. Perry: This story has not been told yet and it is still going on. It is still present in our society and I think that somebody had to do it. I am so glad that Lee Daniels did it and I just wanted to support. He had already told this story so we are just here for support. AP: Oprah, wouldn't you have wanted to play the role of Mary (the abusive mother, played by Mo'Nique)? Winfrey: I don't know an actress who wouldn't have wanted an opportunity to play that role. I think that is a wonderful character to play. I also don't know an actress in existence who could have done a better job (than Mo'Nique). Perry: I agree but I think you would have knocked it out of the park. Winfrey: That is irrelevant because she already did. … She knocked it out of the park and then built a new playground. She was amazing. AP: You're both successful. That being said, what makes you want to continue to give back to others when you could easily just focus on your own projects? Winfrey: One of the reasons why I am still doing what I am doing and we remain the No. 1 talk show for the past 24 years is because I stay connected to the essence of who I am. I make a living out of being myself. You can't turn your back on who you are nor where you came from. I have great respect for that. I have not only a respect, but a sense of reverence for that. AP: Oprah, you said this movie split you open. What about it resonated with you? Winfrey: What struck me is that you can live in those circumstances and still find hope. You can't do that on your own. Somebody has to show it to you. For every one of us who have made it, someone has to show it to you. For me it was teachers. That is why I love the character Ms. Rain (played by actress Paula Patton) because Ms. Rain allowed her to see that in herself. Nobody can make you see it, but you have other people to help bring that to you. Perry: That woman (Mary) is my father, so I know it well. They can exist and they are real. What it did for me as I was watching the film and I got to the end of it, I felt such relief, such a weight off of me because I made it, and that is what I think people who have been through it. When they see it, they are going to be like, wow. I made it through. That is what is so powerful about it. AP: I cannot end this interview without asking the two of you about your close friendship. Perry: It is surreal. I pinch myself everyday I wake up in the morning. This is such a cool life. I look back on all of the things it took to get to this place. I wouldn't trade any bit of it. I am grateful. I am completely grateful to God. At this point, to have friends like Oprah who can help me navigate through the craziness of what this business can be, it is another blessing. 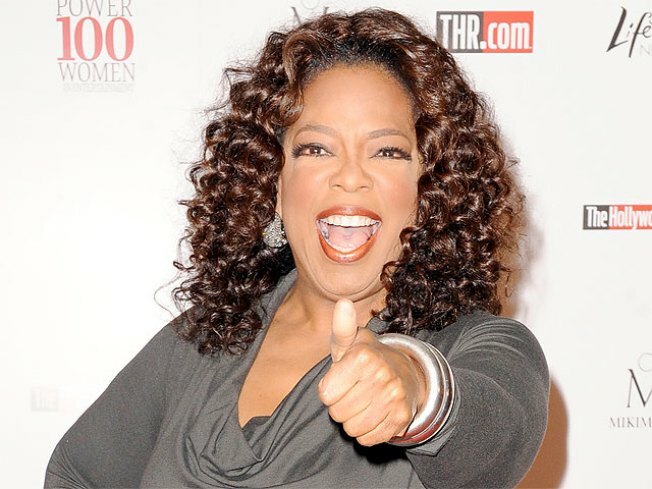 Winfrey: It can get crazy when the whole world is telling you one thing. You are bombarded by all of the stuff coming at you. You have more money than you ever dreamed in your life. You know how to spend $29.95 but you don't even know what $29 million is. What does that mean because you can't see it. You need someone to help you figure out how to handle that stuff and who to go to. Just how to stay centered.